Automation, AI and now Bitcoin - What is the future that lies ahead? Cryptocurrencies are gaining popularity worldwide and now governments must decide if they are willing to support them. A great transformation is under process. More than being just a revolution, this age of Automation, Artificial Intelligence (AI) and now Bitcoin, is set to unprecedentedly revive economies across the world. Evolving technologies and perpetually increasing acceptance of cryptocurrencies such as Bitcoin are not being integrated and implemented by business leaders, industries, governments only but by organized criminals and terrorists as well. There is something new coming every day. Technological disruptions such as advanced automation and Artificial Intelligence (AI) is being discussed as a greater force of change, with both positive and negative perspectives. On the other hand, cryptocurrencies such as Bitcoin, are witnessing an increase in both - usage and value. But the question is - Are the people ready to encompass in this newly transformed world? The world where humans are expected to be outperformed by advanced automation technology; where traders and customers will transact in a currency that is digital and has no physical existence. For some, the stability of the world economy stands to be at peril, whereas there are many others who are excited to witness and be a part of this incredible transformation happening worldwide. Indeed, a phase of uncertainty prevails. Governments, law enforcement agencies and of course the people are in the doldrums. Perhaps, they are all waiting to see - how the transformed world will look like and how the world will function thereafter? Will robots powered by Artificial Intelligence (AI) pervade the world? What will be the future of cryptocurrencies, which has yet been not backed by any government and which bypass financial institutions as well. Amidst speculations pertinent to advanced automation, Artificial Intelligence (AI) and cryptocurrencies such as Bitcoin, at this juncture, it would be really difficult to make out - what is the future that lies ahead? What does increasing use of Bitcoin means? Banking institutions, law enforcement agencies, business leaders, Governments and many others call Bitcoin ‘illegal.’ But then - Why is the use of Bitcoin increasing? There are reports that give information about the countries that have legalized Bitcoin transactions, either partially or fully. Countries such as Canada, the US, Japan, Australia, Israel, Singapore, Russia and many more have nodded to the acceptance of Bitcoin, in one form or the other. Many of them have legalized Bitcoin and are also in process to consider it for taxation. On the other hand, there are innumerable companies, both big and small, that accept Bitcoin transactions. Microsoft, WordPress, Overstock, and Reddit, to name a few, are among those innumerable companies, which accepts Bitcoin. On other hand, the Silk Road website case, which sold drugs against Bitcoin and the WannaCry ransomware attack, where attackers demanded payment to be made in Bitcoin - are some of the best cases of these virtual currencies being used by criminals and terrorists. Why is this secrecy being maintained, when nothing seems to be a secret anymore? 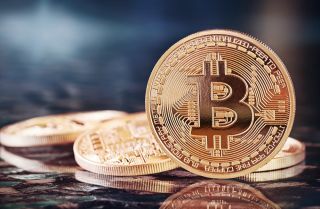 Countries are accepting Bitcoins, retailers are accepting, consumers are transacting, even innumerable companies firmly believe on this cryptocurrency, which has led to cross-border transactions with no regulations. With another perspective, countries such as North Korea, which has sanctions from United Nations Security Council give hardly bother as Bitcoin gives them ways to transcend all such restrictions. Systems are being hacked and cryptocurrencies such as Bitcoin are largely being used to perform illegitimate activities around the world. In the prevalent condition, where the market value of cryptocurrencies has reached to approximately $180 billion - does it actually make a difference, whether Bitcoin is government backed or not? Besides, these facts, it is also a fact that recently China, who shares world’s 10 % of the Bitcoin business has ordered to shut down its cryptocurrency exchanges by the end of September 2017. This is a setback for the growing cryptocurrency world market and it again puts people in the doldrums. No one would ever want to be rich in illusion, people want currencies to be a reality. The usage of Bitcoin may increase continuously but for the people to rely on that, Bitcoin needs Governments back-up. How can people trust on a currency that touches around $5000 of the exchange value and drops down to approximately $3200 in just two weeks? This is digital world and cryptocurrencies such as Bitcoin must be regulated by law enforcement agencies or else, it will be exploited and will possibly have no future. When thought logically, governments can not let it go. It has to be either stopped or regulated. Or else, cryptocurrencies such as Bitcoin will empower and give a free hand to organized criminals, terrorists and country heads such as Kim Jong-un. And, with these, cryptocurrencies will play the vile wind, which will make the world’s face ugly. The case is similar with both evolving technologies and cryptocurrencies. Both are something new being incorporated in the world system and therefore a phase of agreements and disagreements are apparent. Both will impact the functioning businesses and will impact the lives of people across the world. Governments and law enforcement agencies need to formulate regulations that should govern these new tools of the digital world. Artificial Intelligence (AI) and advanced automation have started to transform the human workforce. They are learning skills that are required to work new processes and are also learning to accept with their digital co-workers. On other hand, there are reports that suggest cryptocurrencies such as Bitcoin are being used to buy daily use products. And there are approximately 6 million such people worldwide. With such facts, it is sure that these elements of change have started to pervade people’s life and therefore they can not be ignored. Regulations and protocols are must for the seamless functioning of the system. Business leaders are showing immense faith in both evolving technologies and Bitcoin, although some are not in favor. And, with so many facts out there, this cannot be termed to a vague statement. The change is happening and it has started impacting people worldwide, directly or indirectly. It is a truth that Governments and law enforcement agencies must face with eyes wide open.